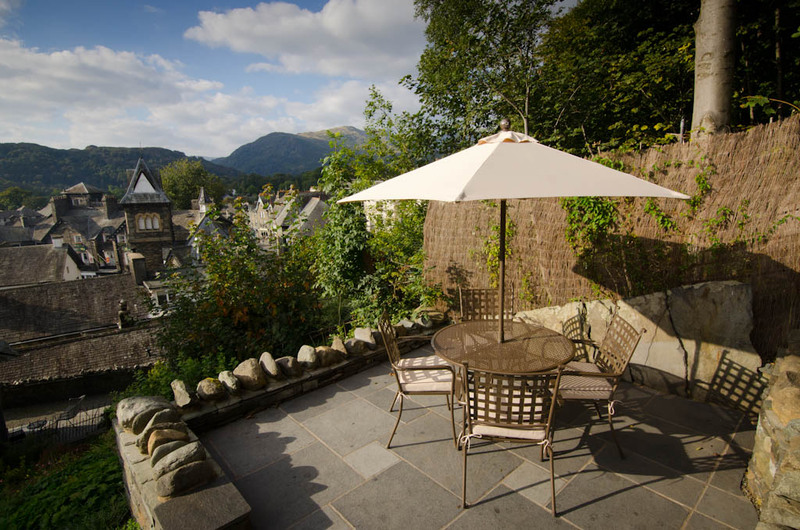 Boden Howe is a traditional Victorian Lakeland house offering simply breathtaking views over Ambleside to the fells beyond. Located in a unique location overhanging the village, Boden Howe is one of a terrace of four houses accessed by a pedestrian only footpath; Private parking for 3 vehicles (2 secure) is available close by (please see map on Contact and Location page). The garage is large enough to accommodate bikes, trailers, small boats etc. in addition to vehicles. 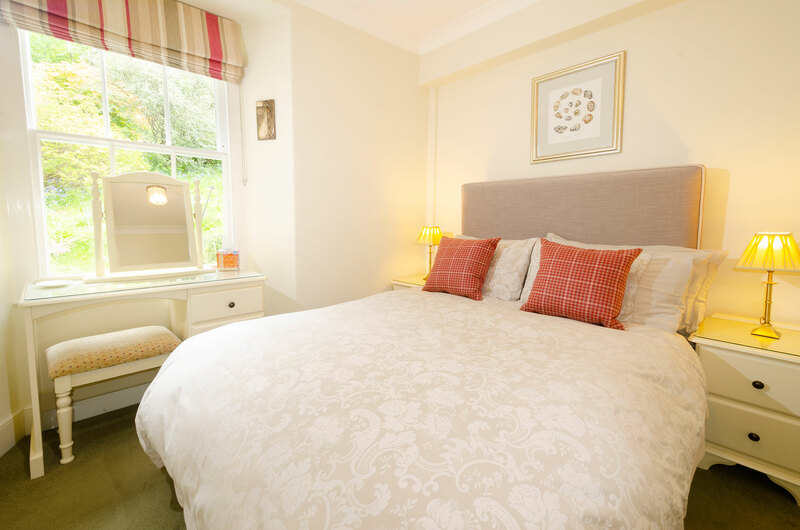 The house provides excellent accommodation for five guests and unlimited complimentary spa access is offered at the nearby Salutation Hotel and Spa just 50 mtrs away. This is a cherished facility and is the icing on the cake for both our regular and new visitors. Our weekly changeover day is a Friday until 16 August. Thereafter, it will mainly be a Sunday until November when we are can be more flexible on arrival days. 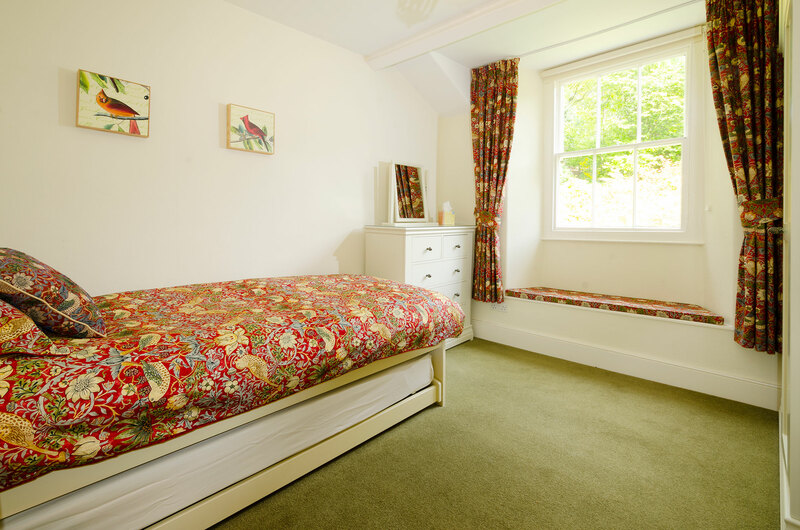 Boden Howe is available to occupy from 3.00 p.m.
Short breaks (minimum 3 nights) available 22nd - 30th April (£130 per night). 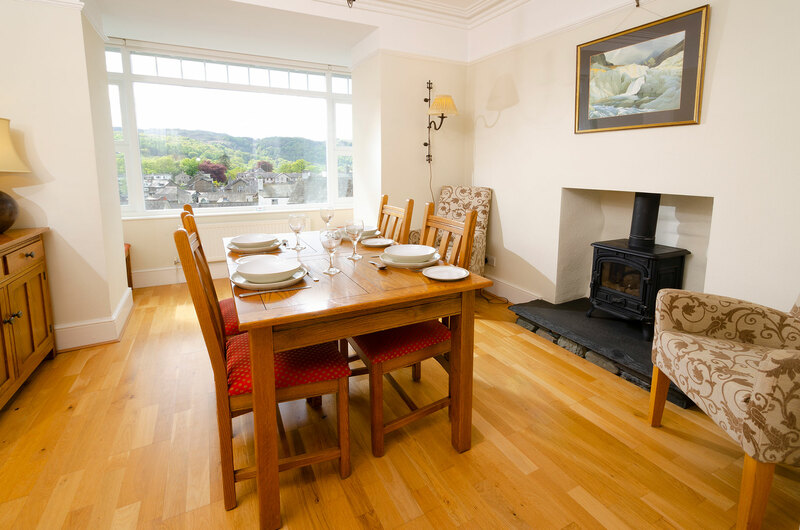 Maintained to a high standard, Boden Howe provides stylish accommodation coupled with unrivaled views. 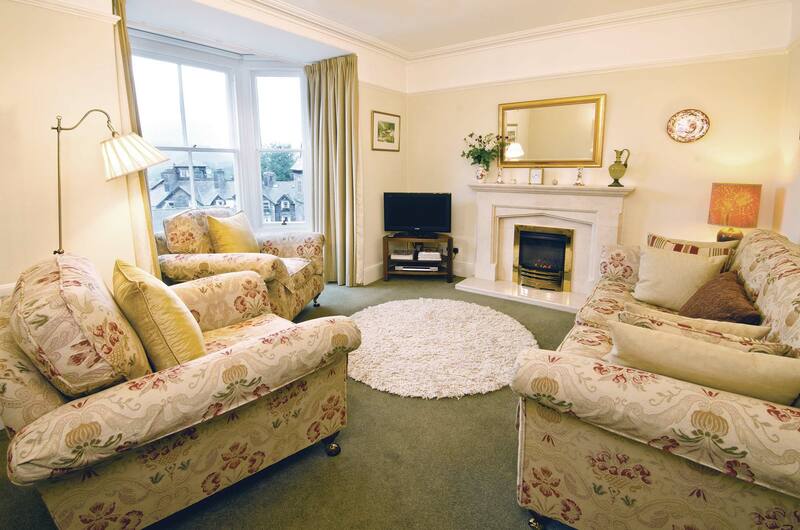 Laid out over three floors the property is large enough for famiies but cosy enough for one or two couples. 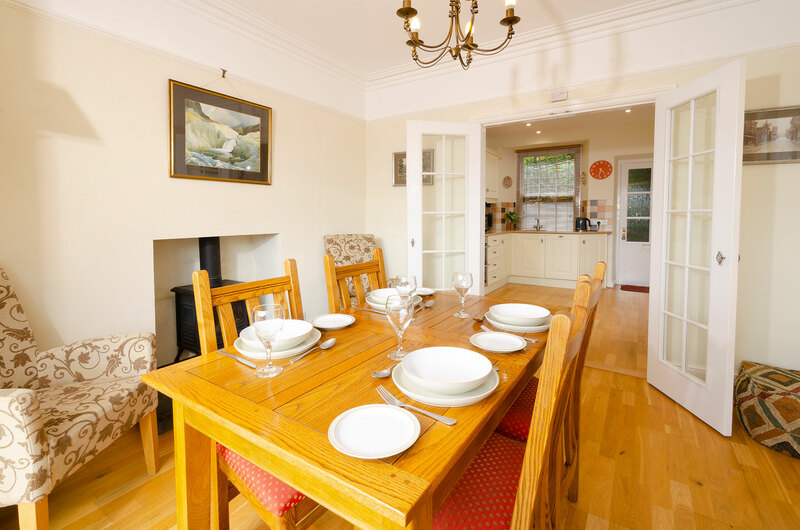 The house is very well equipped with reading matter, guides/maps and games and unlimited wifi is provided. Following a tiring day on the Lakeland fells why not take advantage of the complimentary leisure facilities at The Salutation Hotel (2 mins walk from the house). 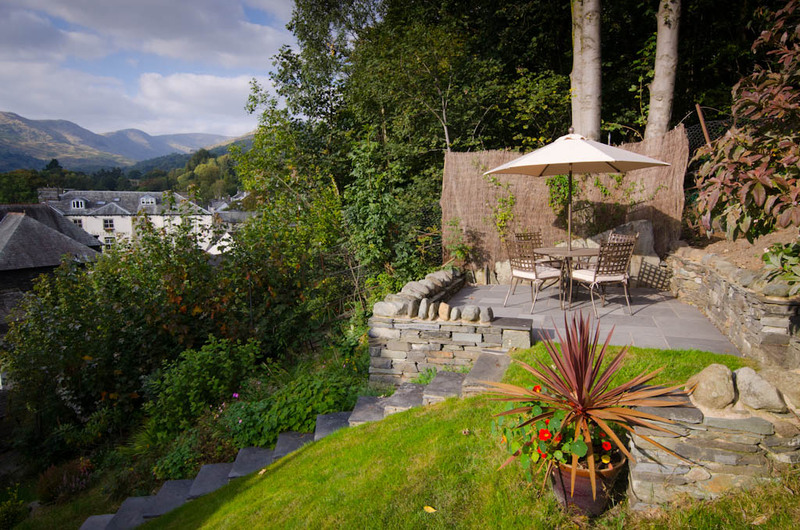 To the rear of the house the sloping garden incorporates an elevated patio area primely positioned to catch the final rays of sun before it sets behind Loughrigg Fell. Travel cot and high chair can be provided at no extra charge. We regret we are unable to accommodate dogs. IMPORTANT PARKING NOTE: Our private parking is within the confines of St John Ambulance car park and, therefore, our external parking is restricted to one vehicle directly in front of the white garage doors although two vehicles can be accommodated inside the garage. Entrance Hall. 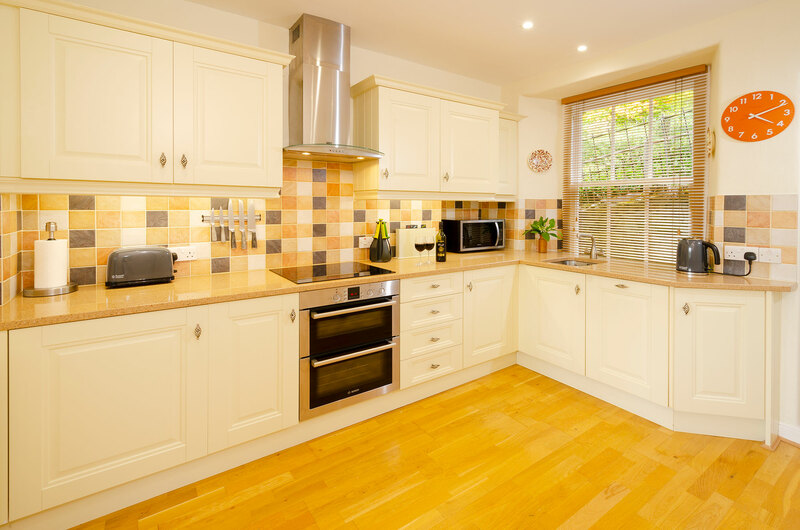 Dining Room with large double glazed box window and gas woodburning stove, light oak dining table seating six, Fully equipped kitchen with all necessary appliances including Nespresso machines and walk-in larder housing freezer. 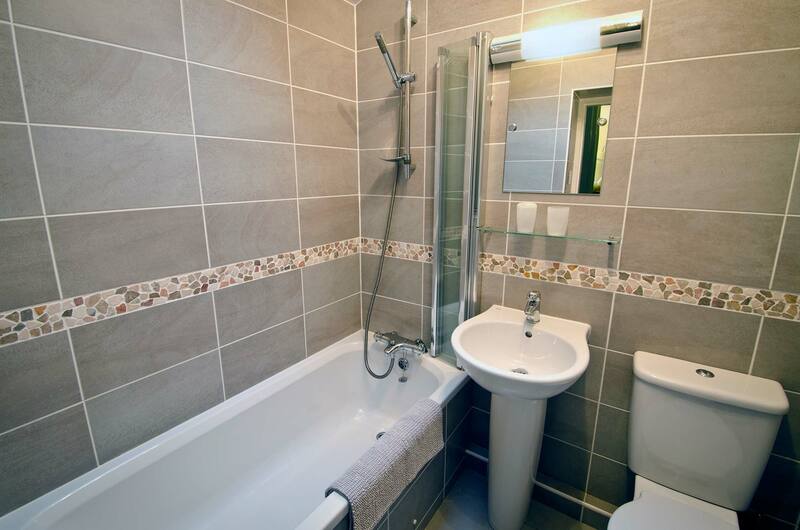 The entire ground floor has oak hardwood flooring. Relaxing lounge with double glazed bay window, marble fireplace with natural coal effect fire, flat screen LCD TV, DVD player, Bose bluetooth speaker. 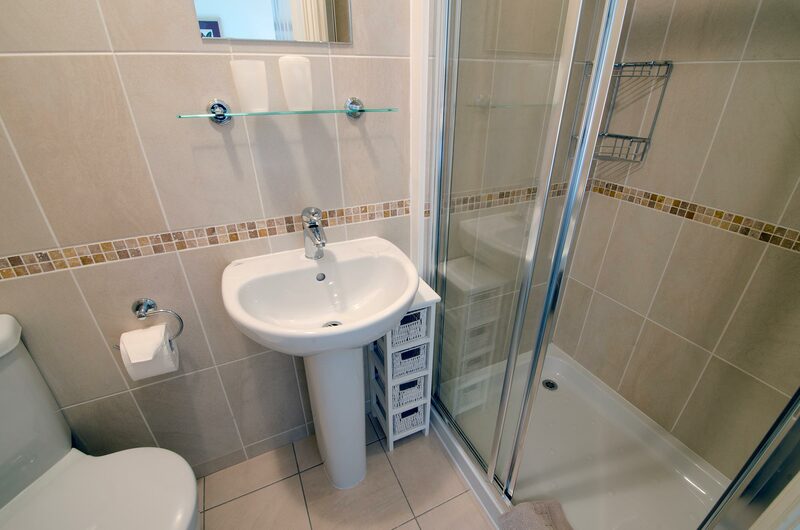 Double glazed, en-suite superking bedroom with luxurious down duvet. CD TV/DVD. 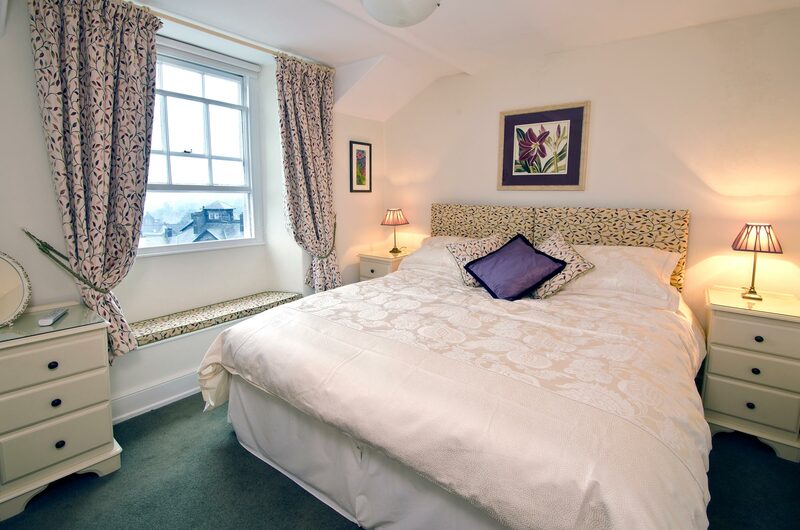 Two single duvets can be provided for the bed if this is more suitable for your requirements. Attractive soft furnishings. Views over Ambeside towards Loughrigg Fell. Single bedroom with garden view. N.B. 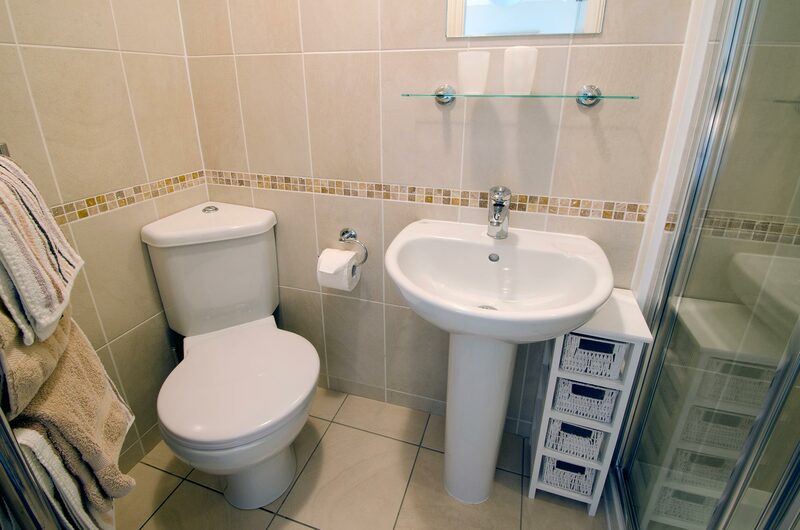 This room can ony accommodate one person. Small area of outdoor seating at front of property; larger area in garden at rear. See photos in Gallery below . . .